This is for that classy (huh, what? ), almost classic gal who likes to let out a little funk on occasion. Something she can wear to work with her professional clothes and then sassy up when she heads out with the girls or her guy. 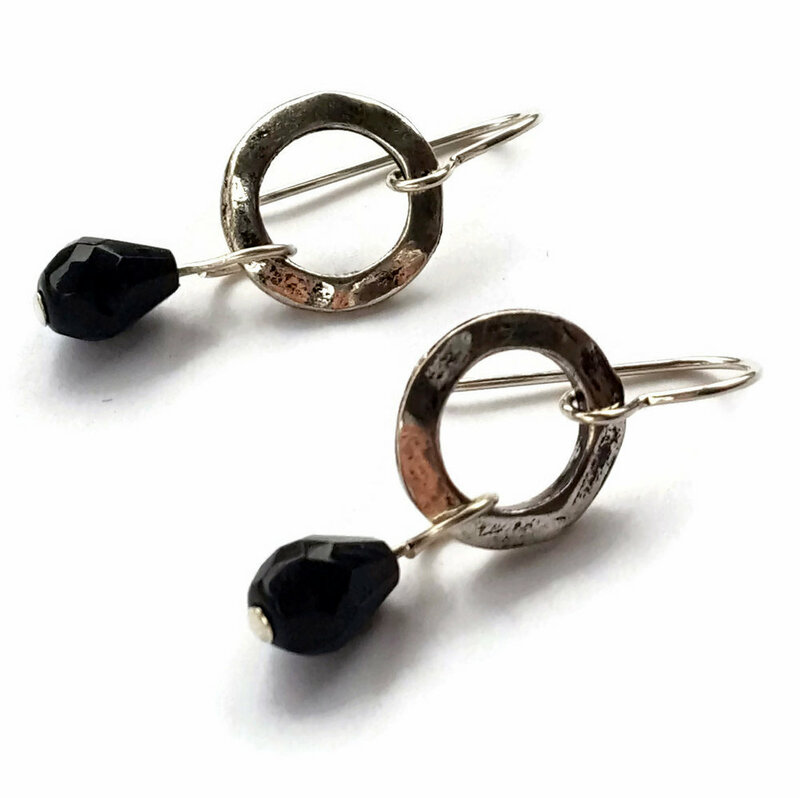 Vintage black Austrian crystal and smoky grey lucite crystal are paired with a silver plated distressed circle. The cluster of drops hang from a matte black chain with lobster clasp. Bracelet length is 7" which fits an average wrist. If needing longer or shorter please make a note at checkout and we can make adjustments.